The tree command can provide a clear view of all your files and directories, and offers a few advantages over the usual ls. The tree command  is a tool that I'd overlooked until recently. After trying it for several weeks, however, I am starting to prefer its tree-like display of directories and files to the plain lists generated by ls. Part of the reason is that, in these GUI-oriented days, even a directory tree made with ASCII characters is more comfortable than no structural display at all. The functional differences between tree and ls are minimal. The two commands share a few options, such as -a for displaying all files, and even when the options are different, the functionality remains similar. The largest exception I have noticed is that ls offers an option for the number of columns in which to display results; the tree display makes a single column unavoidable. You have to look closely to see the differences, but tree is consistently more versatile, starting with, unlike ls, recursion. By default, tree displays all files in all subdirectories. Like ls, tree is part of the standard installation for most distributions. If yours does not include it, or if you want the absolutely latest version, you can download the source code from the project site to compile. Without any options or target directory to view, tree lists the current directory. Alternatively, you can specify a directory to be the top level in the display (Figure 1). 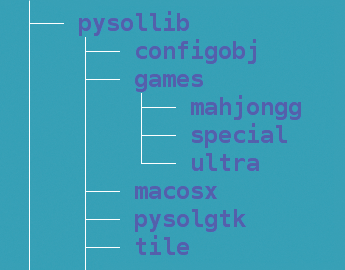 Figure 1: Imagine ls projected onto a directory tree, and you have the idea behind tree. Unless you know that the directories you are viewing contain only a few files, you will almost certainly want to pipe it through less, so that you can scroll back and forth in the results. However, this structure is only the beginning. Tree also includes extensive options for adjusting how results are displayed, how the command operates, how files are listed, and how files are sorted. If your environment includes LS_COLORS, the display uses the same color codes as ls (blue for directories, white for general files, red for archived files, green for an uncompiled script). One of the most obvious advantages over ls is that an archived file is treated as subdirectory file, so you can read its files directly from tree. The output ends with the total number of directories and files displayed. You can modify this default display in several ways. Adding the -n option after the basic command turns colorization off, whereas -C restores it. Using -i suppresses indentation for directories, giving similar results to ls in a single column, and --noreport removes the final count of directories and files. Unmodified, tree does not include the last time a file or directory was modified. However, you add the information with --timefmt FORMAT. The --timefmt option uses the formats defined in strftime , a standard convention for displaying date and time. Strftime includes dozens of options, but %c (the default time and date for the current system's locale) or %d/%m/%y (day/month/year) are two of the most useful for the date, and %T (for a 24-hour clock) for time. If none of these options are what you want, consult the strftime man page for a complete list of options. 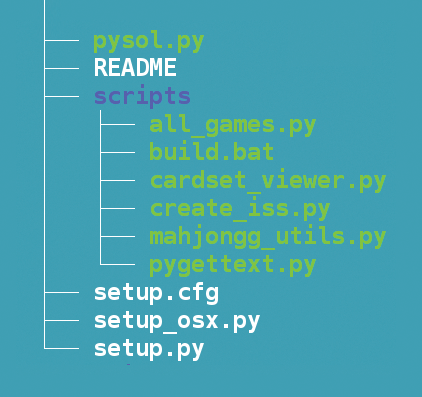 By default, tree displays all non-hidden files and directories below the directory you specify. However, you can modify how tree handles different aspects of the directory tree in several ways. To start, you can add the -a option to list hidden files, just as you can with ls. At the opposite extreme, -d lists only directories. Add --prune, and results can become sparser yet, with no empty directories displayed. Other options limit the input to tree. Using -L LEVEL, you can limit the directory depth to display (Figure 2). The option --filelimit NUMBER imposes a similar restriction, displaying only directories with more than the stated number of entries. If your hard drive is partitioned with LVM or uses RAID, -x will restrict results only to those on the current filesystem. Figure 2: Tree displaying only directories. The tree command also uses basic wildcards when the -P option is used, such as * for zero or more characters, ? for any single character, and a list or range of characters within square brackets (e.g., [ABC] or [5-6]). When the contents of the brackets begin with a ^, then the search is for a single character not listed in the brackets. Whatever options you use, -o=FILENAME saves the results to a file. Tree saves in XML format by default, but if necessary, -x will turn XML output back on. Alternatively, -H BASEHREF turns on HTML output, which can be handy for referencing an HTML or FTP site. When you do choose HTML output, --nolinks turns off hyperlinks in the output file, and -T TITLE sets the title and first level header in the output file to HTML. Many of these options can be especially useful if you have some knowledge of the directory structure and want to eliminate large segments of the structure as you search for particular files and directories. In my experience, they are best used in separate sweeps of the directory tree so that one does not interfere with another. Getting a large-format plotter operational presented a personal challenge. A Raspberry Pi with a USB-to-serial dongle was the easiest way to start plotting on my home network. Enjoy a crash course on some of the text-processing and -filtering capabilities found in Linux.